As expected, Katie Taylor will get the opportunity to become the undisputed women's lightweight champion. 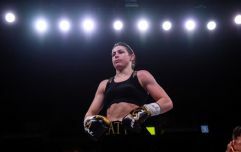 After adding the WBO title to her collection a month ago, Taylor's next fight could solidify her legacy as one of the greatest fighters of all time as she will now meet WBC champion Delfine Persoon this summer, according to a report in The Sun. Taylor would hold all four major world titles at lightweight with a victory over Persoon when they meet on the undercard of Anthony Joshua's upcoming clash with Jarrell Miller in New York City. Taylor vs. Persoon will take place on June 1 in Madison Square Garden, with the Belgian fighter putting pen to paper on the deal on Monday afternoon. 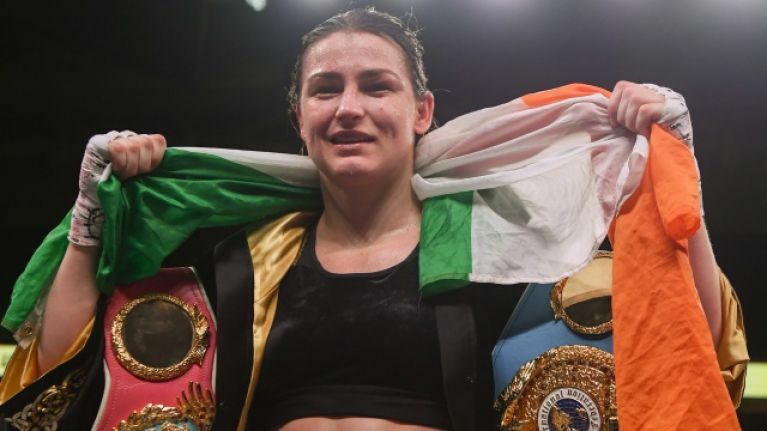 Bray's Taylor claimed the WBA world title in just her seventh professional fight and became IBF champion exactly six months later. Taylor identified Persoon, who has held the WBC crown for five years, as her toughest opponent to date in an interview last month. "That's the fight that I want next," Taylor told Sky Sports News. "It's always been my goal to become the undisputed champion, I've got three belts now and one to go. "She's going to be my toughest opponent to date. She's been a reigning champion for years now, she's been in the pound-for-pound rankings for years as well, so she's a fantastic champion. "That fight has been talked about for over a year now so that's going to be an absolute super fight. "She's a great champion, she's very, very fit. It could be a really physical fight. It's definitely going to be the toughest fight of my career and I am taking it that seriously. "I have to be 100 per cent going into it - she is a great champion. She's had over 40 fights and only one loss. She's a great fighter all round so that's going to be a fantastic fight and I can't wait for it."